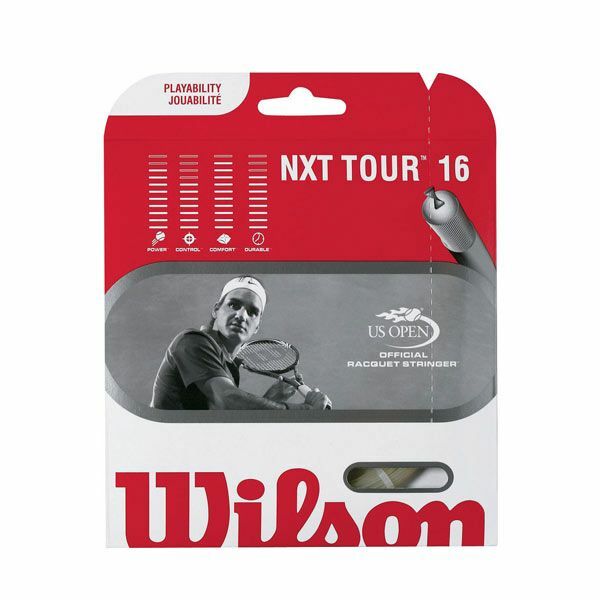 The Wilson NXT Tour 16 tennis string, supplied here as a 12.2m (40ft) set, feels very much like natural gut and provides the biggest sweetspot of all Wilson NXT strings. It’s ranked number 1 for playability and comfort by USRSA string surveys. 1120 High Crystallinity Xycro micro fibres are impregnated with 48% Polyurethane, which results in additional shock dampening. 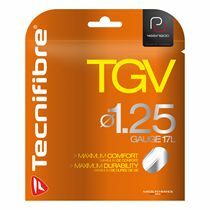 The gauge of the string is 16g (1.30mm). for submitting product review about Wilson NXT Tour 16 Tennis String Set.